EAST RUTHERFORD, N.J. – The New York Giants have struggled this season to say the least. Sunday afternoon, the season reached its lowest point after a 51-17 loss to the Los Angeles Rams. 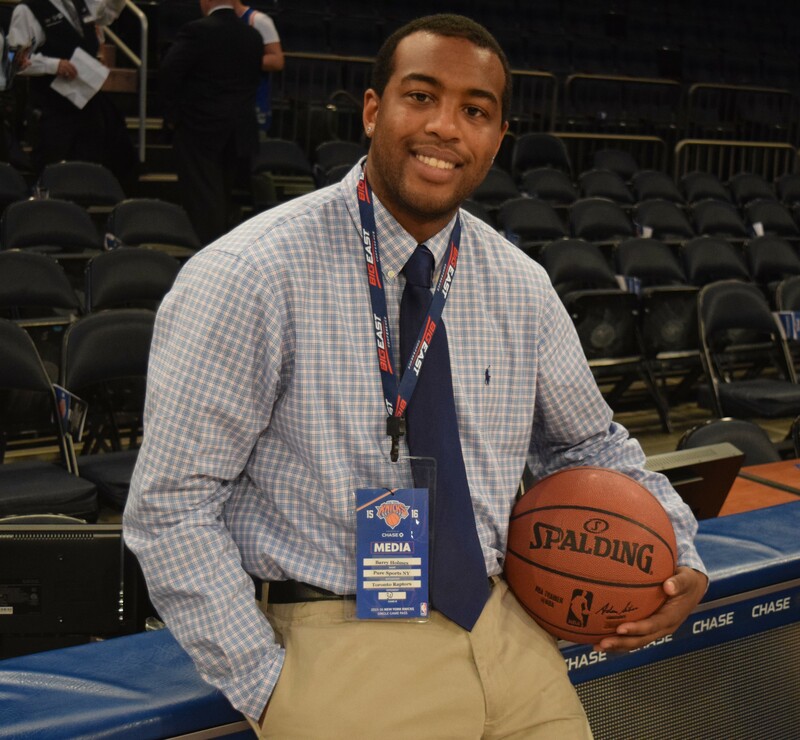 Nothing seemed like it could go New York’s way, as the Rams scored points in bunches. This was the Giants largest defeat of the season, and has people questioning whether Eli Manning should even start next week. Big Blue have now fallen to a 1-7 record on the year, and have yet to win a game at MetLife Stadium. (Photo Credit: Barry Holmes) Gurley II rushed for two touchdowns against New York. Todd Gurley II hurt the Giants in both the pass game, and in the run game. Gurley II rushed for 59 yards and two touchdowns, also adding two receptions for 45 yards. The Giants could not find an answer for Gurley II, but definitely didn’t help themselves out by missing tackles. Gurley II showed that he is tough to take down, and has major big play capability. The way Gurley II was able to consistently gain positive yardage, helped Jared Goff to be in manageable downs and excel in the pass game. New York had a total of three turnovers against Los Angeles. Both Wayne Gallman and Manning lost fumbles, and each hurt the Giants just as they were trying to gain momentum. Manning also threw an interception to add to the turnover column. Even down to special teams, the Giants couldn’t catch a break. The Rams blocked a punt, which they later cashed in on with a touchdown. The Rams didn’t turn the ball over once, and that is what it takes to win games. You can’t put yourself in a position to win, when you spot a playoff team three possessions. (Photo Credit: Barry Holmes) Los Angeles showcased their talented receiving core. Goff exposed the Giants secondary, on his way to a career afternoon. The rookie quarterback threw for 311 yards and four touchdowns. Goff did not look like a rookie on the field, as he maneuvered in the pocket well. The Giants weren’t able to get a significant pass rush, and failed to record a sack on Goff. This really helped Goff to be comfortable, and deliver the ball on the money to his receivers. Robert Woods caught two touchdowns from Goff, and Sammy Watkins caught a 69 yard touchdown. Goff has speed to work with out of his receiving core, and it showed as Los Angeles blew by Giant defenders. 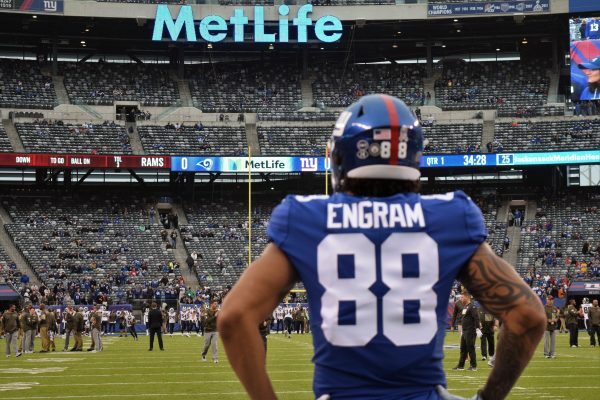 Evan Engram has really emerged as the bright spot, in a tough season for Big Blue. Engram showed heart, as he continued to fight for yards even as the game was out of reach. The rookie finished with four receptions for 70 yards and a touchdown. The Giants really have a red zone weapon moving forward, and someone who has proven they can make tough catches.